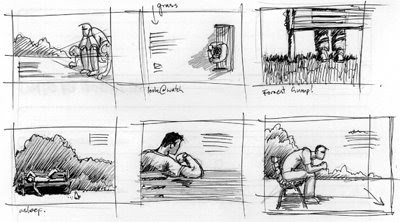 Simply Adam Mann's Blog: Start Sketching! This is a good article from iStockphoto which does a good job explaining why YOU should pick up a sketch pad and start sketching, whether you are an illustrator, designer, or even photographer. Before any design crunch I tend to 'warm up' with sketching just like a warm up at the gym. I'll take a few minutes and just draw anything at random; doodles, swirls, anything to loosen up. Very nice work of art!! !